Brazil and Colombia were among the first to give official support to Guaidó, shortly followed by most of Latin America. 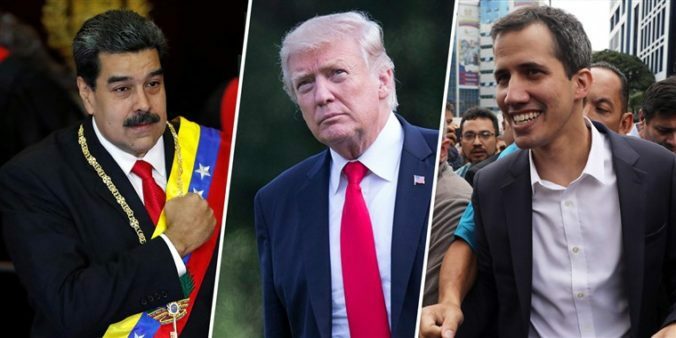 While this issue already simmered in Latin America, it wasn’t until January 23, when President Trump gave his support for Guaidó, that the international community truly began to respond to the issue. What followed was a sharp split among states, with Cuba, Bolivia, Turkey, Russia and China firmly supporting Maduro’s government, while the UK, Germany, France, and several other European countries issued ultimatums for Maduro to hold new elections. This is not surprising, nor is it a new trend. As previous work on international recognition from Bridget Coggins shows that trends in recognition tend to play follow-the-leader. While her work focuses on recognition of statehood, I argue this also applies to recognition events, including recognition of a government or territory. We saw this trend play out when Kosovars declared their independence from Serbia in 2008 and the United States, France, and the United Kingdom were quick to recognize, while Russia and China were equally quick to condemn. Many countries swiftly followed suit, either with support or denunciation. The current norms of international recognition have operated since the establishment of the Security Council of the United Nations and the introduction of a structure of five permanent members that must agree unanimously on the admission or sanction of members. States would not be compelled to justify their behavior if they were not aware of how this could be perceived internationally and how these decisions could have important repercussions. How they consider these and respond to them is unclear. The study of recognition, however, has tended to fall under the domain of international law. The IR scholars that have addressed the phenomenon of recognition with their work all come together to make intelligible to political science, as well as apply the many normative and legal debates surrounding recognition. A non-exhaustive list of contributors include M.J. Peterson, Bridget Coggins, Nina Caspersen, James Ker-Lindsey, Mikulas Fabry, Marika Landau-Wells, Joshua Freedman, among others. Regardless, there is still more to explore with regards to the consequences of recognition and the rhetorical power politics at play for all forms of recognition. Why does controversial recognition matter? The convention when it comes to this practice, as identified by Coggins for the case of recognition of statehood, is that recognition occurs as a consensus between major powers and with the support of the host state. As she notes, the politics of external legitimacy ensure short-term stability, but they may create system-wide problems in two ways. First, this practice conditions new states’ entry on the basis of political considerations and not necessarily on the authority or capacity of the nascent states. Second, these practices can also set precedents for other separatist movements to claim the right to recognition of their independence. These two points can easily be extended to cases of recognition of government. Recognition is still bound by political and economic interests and these practices set precedents for future cases of disputed government. The fact that in the Venezuelan case two different leaders are fighting for recognition of their monopoly over the government makes the situation particularly tricky. The importance of recognition cannot be underestimated. At its most basic level, it’s an unusual form of intervention in a country’s domestic policies. If a transition of power is running smoothly, we hardly notice it happening, but if it isn’t, it’s Venezuela, Yemen, Libya, and so on. When a major power backs a government other than the incumbent, it’s nothing short of active intervention in domestic affairs. These foreign policy decisions by major states can have important ripple effects. The norm, until recently, had been for major states to recognize in unison or to abstain from clearly showing dissent. When states break from the norm, it impacts the status quo by changing how other states react to similar situations. Given the potential to set a precedent for future recognition events, what determines the recognition decisions of major powers? Unfortunately, academics rarely have access to the closed-door meetings that clarify the reasons states recognize as they do, but the rhetoric they do put out can be very telling. If nothing else, language is everything. It can rile populations that don’t know or don’t care about the myriad of economic or political interests that go into the decisions made by the third-part recognizers. Rhetoric can be unsettling, and while many major powers might not be concerned, smaller countries likely do not have the power to contain an uprising. If the US recognizes Juan Guaidó under the guise of protecting its people, regardless of its actual reasons or interests, this only serves to fuel the existing protests in Venezuela against Maduro to bring about regime change. While this might be the intent of the US, we should not be surprised if similar protests broke out in another country, with the people asking the international community to denounce their authoritative government, as they did in Venezuela. It is worth trying to understand why states offer full or partial recognition and if variation in recognition is bound in how statements are framed. Depending on how major powers deal with different domestic and international pressures, we will observe different rhetorical strategies to justify their decisions both to domestic and international audiences. Further research could offer answers for cases that have autonomous or partial recognition of statehood such as Taiwan or Kosovo. Similarly, it could further explore the implications of recognizing a new capital, as Trump did by recognizing Jerusalem over Tel Aviv in Israel. And naturally, it could give us further insight into the consequences of a disputed recognition of government by major powers, as seen in Venezuela. Understanding state level decisions can help shed light on how government officials consider broader international norms and their role in crafting and maintaining them, as well as how they might benefit their home country. Any future work on rhetorical power politics matters because sovereignty is a key principle of the international structure and sovereignty, as scholars have generally come to accept, is ultimately granted by other states through recognition. The main drivers of this recognition are the major powers that command significant spheres of influence and thus the numbers to gain a majority in the international system. If Venezuela has showed us anything, it is that recognition matters. Various states have reacted at different paces and with very different rhetorical strategies. While we may not know yet what motivates each country, we surely can speculate. Left-wing and autocratic governments have continued to support Maduro, an autocratic leader. It would not be a stretch to guess that concerns for setting a precedent against themselves were not a play. Under what guise could Cuba credibly recognize Guaidó and not open itself to potential domestic and international backlash. Similarly, how could have Spain recognized Kosovo without setting a precedent for Catalonia or the Basque Country. Meanwhile, Mexico has urged for a mediated solution in Venezuela and has stated their position with regards to Venezuela has not changed and they will continue to support Maduro as president. They argue that recognizing Guaidó would go against their historical foreign policy Estrada Doctrine of not emitting a judgment about another country’s government as that would be a breach of sovereignty. The main backlash they are facing from the international community is that they have broken their norm a couple of times in past, when they formally severed diplomatic ties with Chile in 1974, with Nicaragua in 1979, and when they publicly supported the Republicans in the Spanish Civil War. So why remain neutral now? Precedents have a way of paying themselves forward.